2016 Song Breeze Trail #145, Arden, NC.| MLS# 3483485 | Carolina Properties, Real Estate Firm in Lake Lure NC, Offering Real Estate Services and Vacation Rentals in Lake Lure, Mill Spring near TIEC, Tryon International Equestrian Center, and Chimney Rock NC. Free MLS search 24/7. We are here for you! Meticulous attention was applied to every facet of the creation of this luxury Walnut Cove home. It started with the site selection - on the golf course, yet elevated and private from it, this home presents with cheerful light with multiple directional views, yet does not have to endure the hotter late afternoon rays. The siting of the home-well off its quiet side street, strikes the perfect balance between the privacy of the hardwoods and the openness of the golf course. The Platt design follows the natural contours of the lot and delivers an uncommon marriage of gracious rooms full of architectural drama and private, cozy spaces. The finish level - from the outdoor living space and water features to the chef’s kitchen to the master retreat - throughout the home shows every detail was thoughtfully attended to. 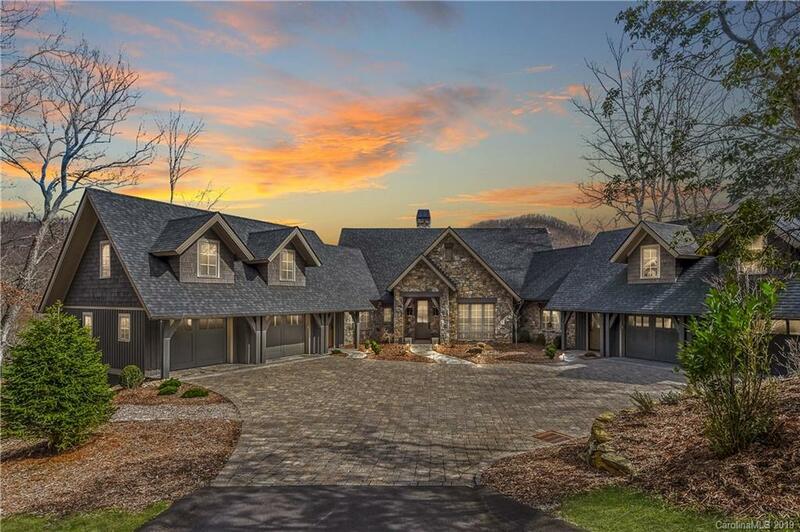 Double two-car garages and even a huge future rec room/man cave/workshop complete the masterpiece. You owe it to yourself to consider this home.